Lorna Jacobs grew up surfing Hawaii’s challenging waves alongside her wave-obsessed mother, Alex, until a fateful day at the Pipeline shattered their connection. Lorna still remembers how she went over the falls at the deadly wave and nearly drowned while Alex surfed on, uncaring. That day, Lorna began to separate herself from the toxic relationship, a painful process that would take years. Meanwhile, Alex still invited her on surfing trips, and Lorna moved in with her navy father and studied to become a doctor. On the eve of starting medical school, Alex invites Lorna to her latest discovery, a secret wave that’s “off the map.” But Lorna can’t be her mother’s sidekick anymore, and turns her down. The shock is clear on Alex’s face, and just like that, she disappears from Lorna’s life. 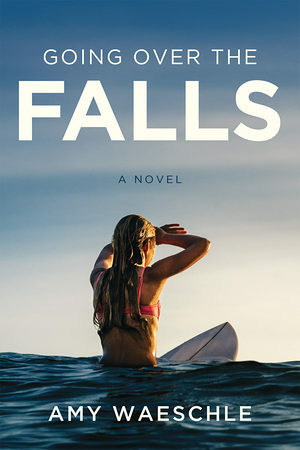 Six years later, Lorna, now an Emergency Room Resident, takes a surf vacation in Fiji, where she falls for Joe, a fellow surfer with big dreams. Just when Lorna thinks she’s found paradise, a phone call from her E.R. in Seattle turns her world upside down. Alex is dying of cancer. To make matters worse, Alex left the hospital for parts unknown before learning the diagnosis. Unable to turn her back on Alex, and longing for answers about her past, Lorna quits everything—her meaningful job, Joe, and sets out to find her. However, the adventure proves disastrous at every turn. Finally, Lorna finds Alex operating a fledging surf camp in a tiny town in Mexico. When Alex’s condition deteriorates, Lorna easily fills the role of caregiver, though the emotional connection she so craves remains frustratingly out of reach. She agrees to surf one last time with Alex but the tragic accident that follows will force Lorna to make an impossible choice, one with momentous consequences. Lorna must save herself yet again, this time by abandoning everything she’s worked so hard to create. Her only chance to break free from the past will come from the man she left behind.